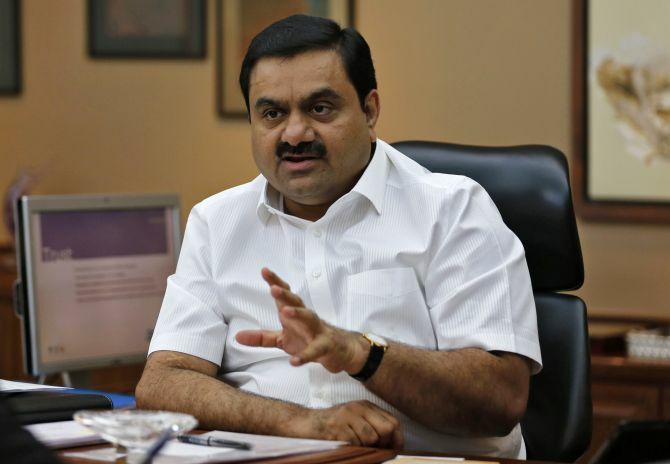 Indian mining giant Adani on Tuesday defended its $16.5 billion Carmichael Mine in Australia, saying the extraction of coal would not directly affect the fragile Great Barrier Reef, as a Queensland court heard a case filed by an environment lobby against the mega project. The land court heard that the burning of coal would risk the climate to a dangerous level while its extraction would not directly affect the Great Barrier Reef -- a world heritage site. The environmental group Coast and Country has challenged Adani's plans to build biggest mine in the Galilee Basin by claiming that the project would contribute to climate change when the coal is burnt overseas, and carbon emissions would damage the Great Barrier Reef through ocean acidification. The court heard a UN agreement across 200 countries dictates global warming should be kept under 2 degrees Celsius and that that threshold would be reached after the emission of roughly 850 gigatonnes of carbon-di-oxide, Australian Associated Press reported. The arguments were presented by the University of Queensland's Ove Hoegh Guldberg who said the Carmichael project could contribute 4.5 gigatonnes of emissions. "We're talking about 0.5 per cent of the total emissions left...before we push the climate into a very dangerous state," he said. "That's an enormous amount of carbon-di-oxide over the life of the mine," he said. Adani has also argued that the need for coal was driven by demand, not supply, and even if the project does not go ahead, coal-fired power stations would simply find other sources. Adani's defence lawyer Peter Ambrose said the situation was similar to when a motorist drove a car – emitting carbon-di-oxide- but the car manufacturer was not directly responsible for the subsequent damage. "It's not possible that the mere extraction could damage the Great Barrier Reef," he referred to Guldberg, according to the news agency. "The mere extraction, digging up the coal and putting it into a boat, doesn't have an impact," Guldberg conceded. The case, before Land Court President Carmel MacDonald, is expected to run until the end of this month. Covering 280 sq km, the Carmichael mine would use a new 300 km rail line to transfer up to 60 m tonnes of coal a year to overseas markets, including India. Adani had argued the mine in the frontier GalileeBasin will create thousands of jobs and inject millions of dollars into Queensland's economy, including coal royalties. Will Adani get a $1 billion loan from SBI? Can the 'intimidating' MCG crowd bring out the best in India?